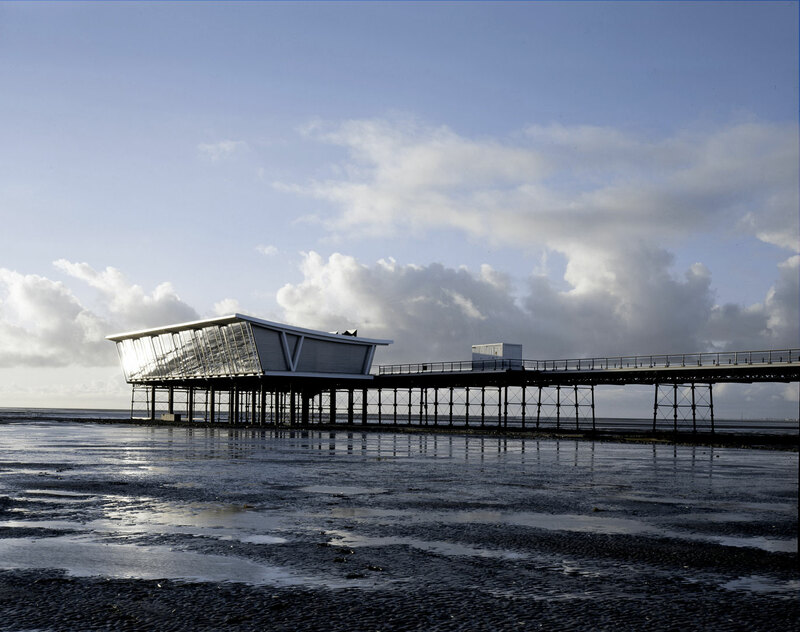 The new pavilion provides a destination at the seaward end of a re-furbished Victorian pier. 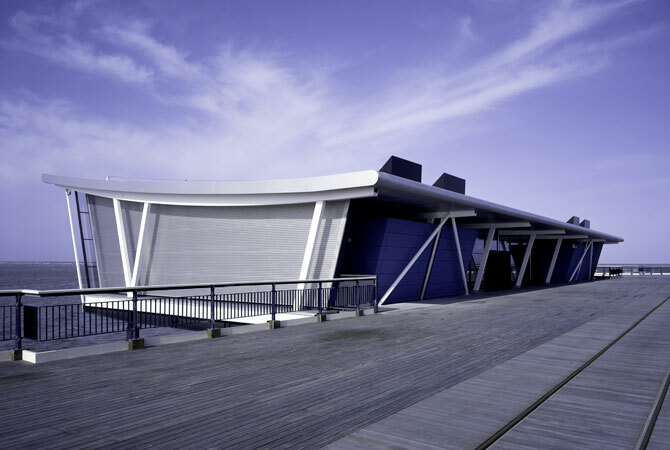 Lying alongside the existing structure the pavilion combines the benefits of a solarium with a café and exhibition space and a canopy to accommodate a three car tram stop. 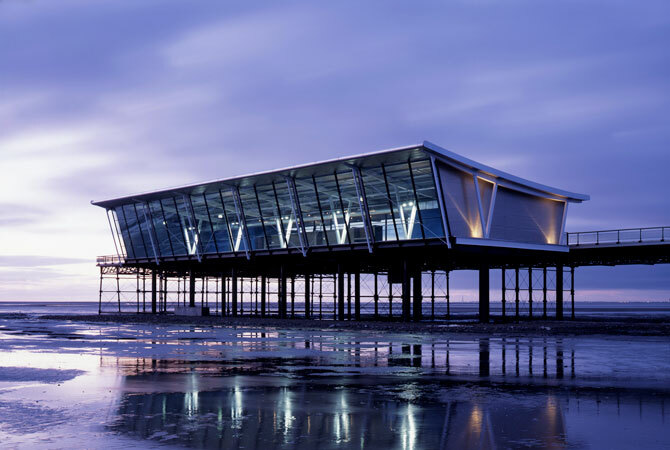 The design uses a combination of exposed steelwork, large glass panels and marine ply to symbolise marine construction methods and naval architecture. 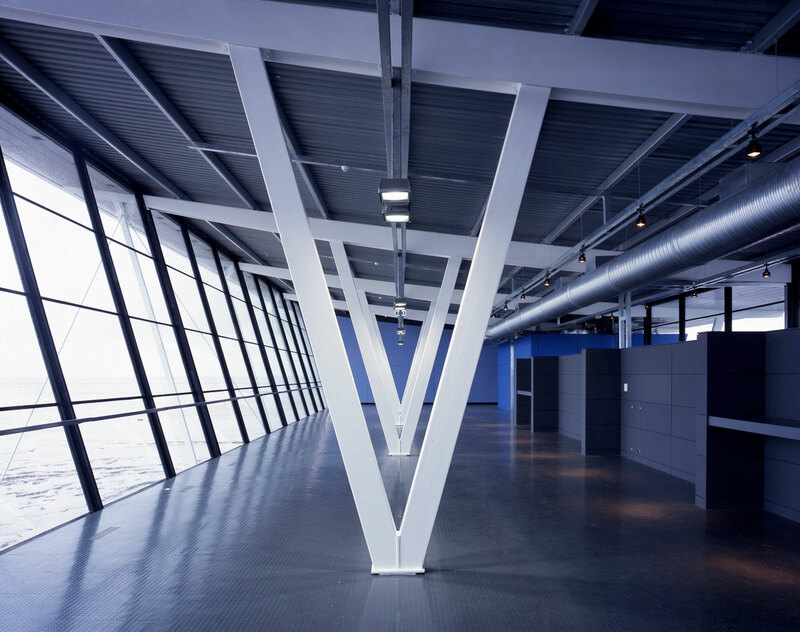 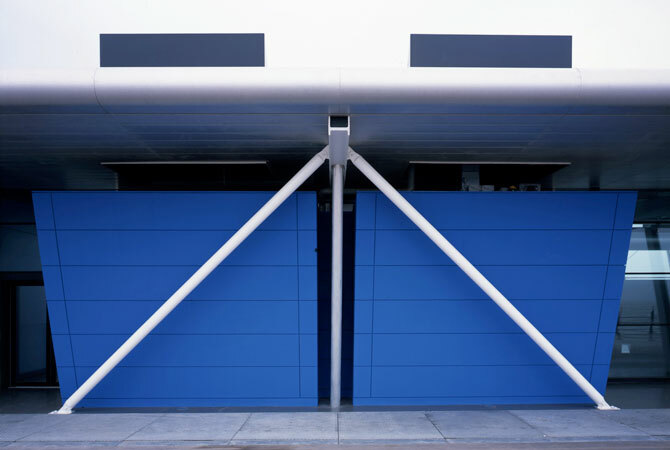 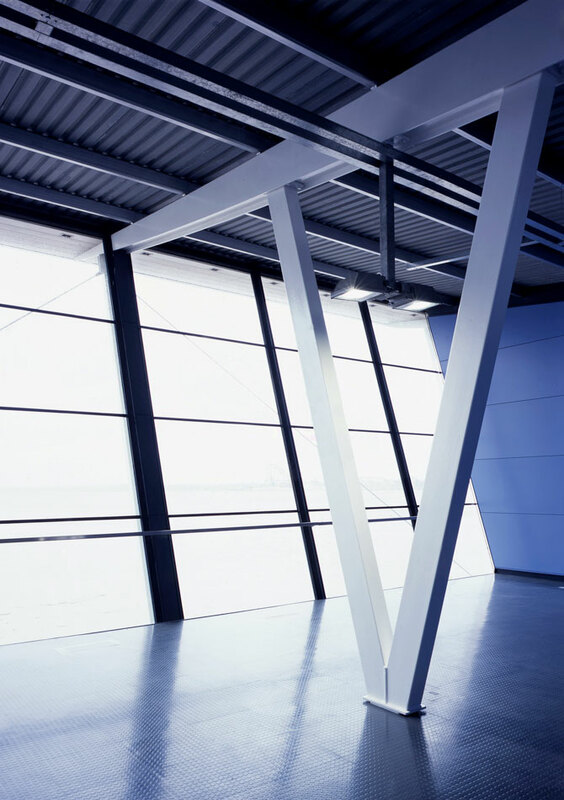 Structure & services are carefully executed to exhibit the building’s systems. 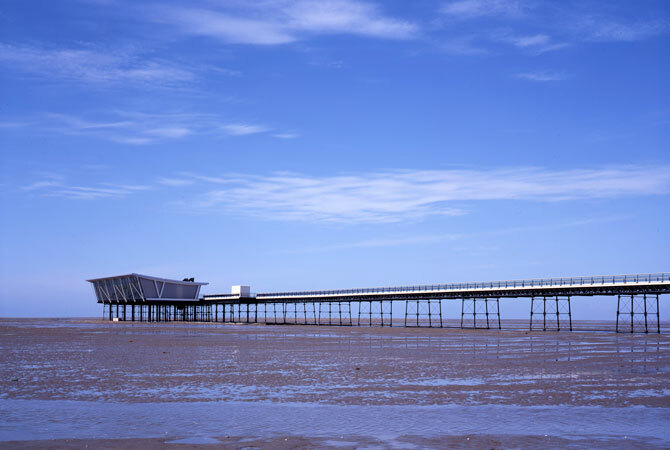 1km out to sea the enclosure provides shelter and warmth using a sophisticated ‘air floor’. 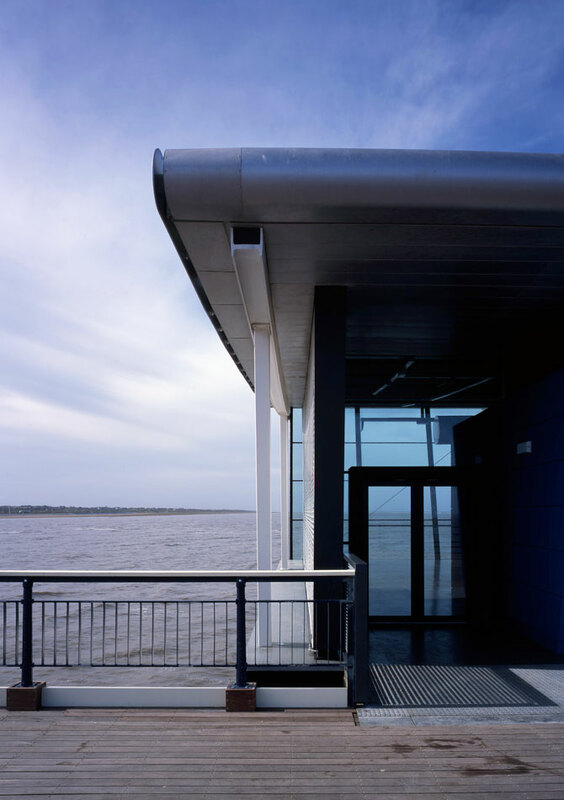 The 45m glass wall faces south west with views of the Mersey Estuary & welsh hills in the distance.